What one might feel to be of controversy was why Botha vs. Williams? You have an aging Heavyweight who has fought many of the best throughout his career, yet still is 44 years old and Rugby star Sonny Bill Williams although 5-0, still a Rugby star. Obviously the draw is exactly what you could call controversial. This however would not end questions of controversy this night, for unusual events were yet to take place. When I was first made aware of the recent Heavyweight bout between longtime Heavyweight contender Francois Botha and Rugby star turned unbeaten Heavyweight Sonny Bill Williams, I wondered whether or not the fight would be competitive. After all Williams was entering the fight having only competed in five bouts previously in his career, against Botha who had fought in sixty-professional fights in his career. In comparing the two it would be hard to argue that Williams was not at a disadvantage in terms of experience. The forty-four year old Botha has fought a who’s who of the best Heavyweights of his era and despite entering the bout having lost three of his last four fights, he would have to be considered the favorite. For the twenty-seven year old Williams the question was whether or not he could compete effectively with someone as seasoned as Botha. It clearly was a major step up in class for Williams who’s previous opponents registered a combined record of 18-21-2, with 9 Knockouts. Williams’ status as a Rugby star brought up memories of several notable American Football players throughout the years who have tried their hand at Professional Boxing with mixed results. Although Williams entered this fight undefeated, the question of whether or not he had bitten off more than he could chew against a fighter of the caliber of Botha was certainly valid. 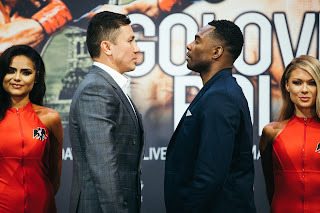 It was clear however that the crowd support would likely be in Williams’ favor when the two entered the ring in Queensland, Australia on February 8th. When the fight got underway I was impressed with Williams’ ability to utilize his jab to keep Botha at distance. Botha however showed late in the first round that he had the punching power that could give Williams trouble connecting with a solid right hand in the final minute. Williams showed that he could take a punch and as the fight progressed it was Williams who was the more active of the two mixing jabs to the head and body with combinations. Williams also was able to make effective use of the ring using good lateral movement to turn Botha and avoid being trapped for lengthy periods throughout. Botha however was himself effective when he was able to come forward with periodic bursts of offense. As the fight progressed Williams appeared in my eyes to be ahead on points due to how he was able to control the tempo of the fight. Despite Williams’ impressive performance, Botha was clearly the harder hitter of the two and the question became would Botha be able to cut the ring off and land on Williams more than occasionally as the fight entered the middle rounds. One thought that came to mind, was the thought of perhaps Botha saving himself for the later rounds. One should consider that it could have been part of Botha’s strategy to extend Williams whom had not fought past six rounds in his career as deep as he could before stepping up his pace. It was hard to argue however that what Williams was able to accomplish in this fight through seven rounds was impressive for a fighter who had only fought five professional bouts previously. It was also clear as the fight entered the ninth round that Botha had become increasingly frustrated due to not being able to land effectively on the inside when he was able to come forward. This was due to Williams’ ability to tie Botha up and thus preventing him from following up. Ironically despite how frustrated Botha appeared to be, it was in the ninth round that one might argue he had his best round of the fight. Despite being deducted a point for hitting on the break in the final minute of the round, Botha was able to land more frequently than he had been in previous rounds and connected with a couple of solid right hands that had it not been for the point deduction may have been a round he would have won. At the end of nine rounds I had Sonny Bill Williams ahead seven rounds to one, with one round even. There was little dispute as to who was ahead in the fight. As there always seems to be in Boxing however elements of controversy would arise. In between rounds nine and ten the referee of the bout went into each corner informing both fighters that the last round was coming up. This bout was announced as a “Twelve Round” fight. It seemed a bit odd seeing as it was announced prior to the fight beginning that it was a twelve round fight that the referee would say “Last Round” as the fight was entering round ten. As someone who has seen and covered countless fights, this is the first time I can ever remember a fight being announced as being scheduled for one distance but seemingly being changed in the middle of a fight. It certainly seemed strange to say the least. In what would be the final round of the contest Botha was able to press forward and land on Williams who seemed to be out on his feet in the closing stages of the fight. Williams did a lot of holding on the inside which eventually led to a point deduction against Williams with twenty-six seconds remaining in the fight. Williams was able to survive and hold on for a lopsided unanimous decision victory. Although there is no disputing as to who was ahead and who won the majority of the rounds, questioning and attention should be paid as to how and why the scheduled number of rounds of this fight was seemingly changed in the middle of the bout. Was there a major lack of communication prior to the bout or was the bout indeed originally scheduled for ten rounds? Regardless of the decision; after ten rounds one would indeed be justified to argue that Botha could have indeed scored a stoppage had he had the benefit of rounds eleven and twelve. He was clearly behind in the fight however it is hard to argue that the momentum of the fight was not turning in his favor by the end of the tenth round. In regard to the controversial scheduled distance of this fight, it seems odd as an observer that no one would know why the bout was changed from twelve to ten rounds. If someone did know, why was there no announcement made prior to the fight? In the days since the fight there have been several reports of alleged allegations of a failed drug test from Botha. Allegations that have been denied by Botha. Sports books in Australia refunding bets made on Botha while still paying bets to those who put their money on Williams. There were also brief questions as to the validity of the World Boxing Association’s (WBA) sanctioning of this fight for their International Heavyweight title. The WBA has since confirmed that the bout was indeed sanctioned by the governing body. The latest allegations regarding this controversy come from Botha who has alleged that he was offered $150,000 from Williams’ camp to take a dive three days before the fight. The allegations have been denied by Williams' manager Khoder Nasser. As someone who has tried his best to put controversial situations into perspective and to put things in a way that everyone can understand; frankly this one has me at a loss of words. All I can say is I do believe a rematch is in order. For now the dark cloud of controversy looms over Australia.